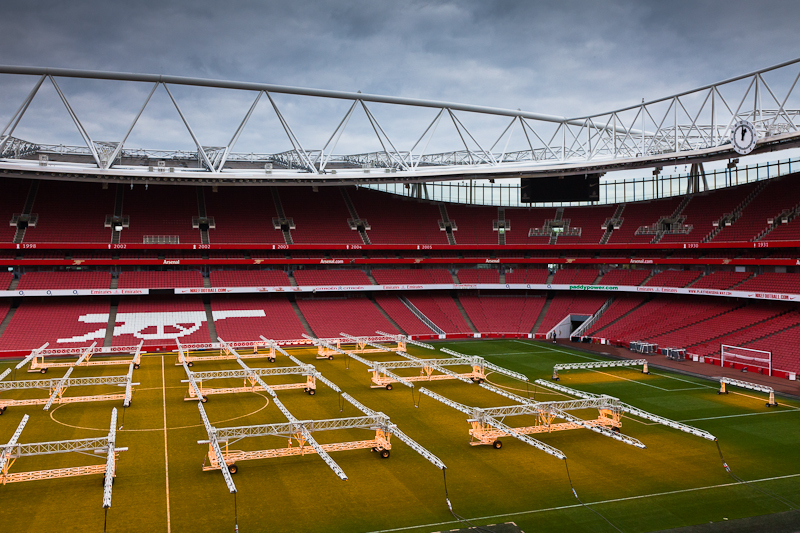 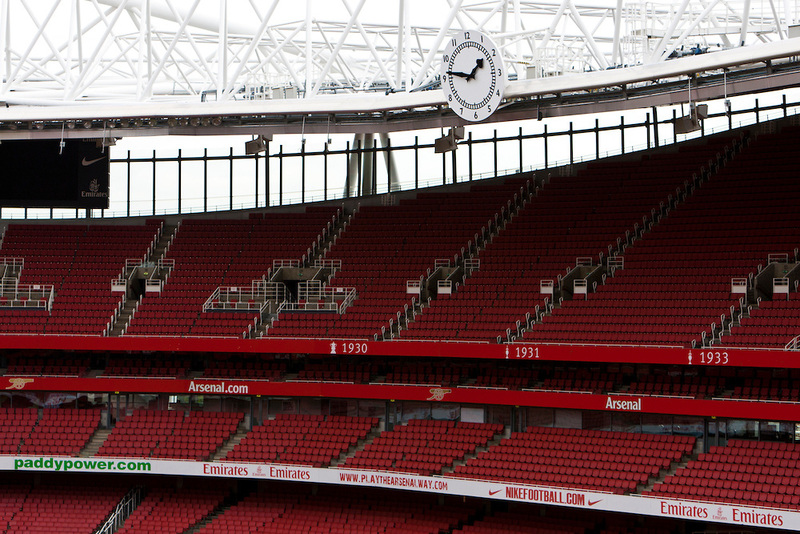 The Emirates stadium is home to Arsenal Football Club and also home to one of our most famous clocks. 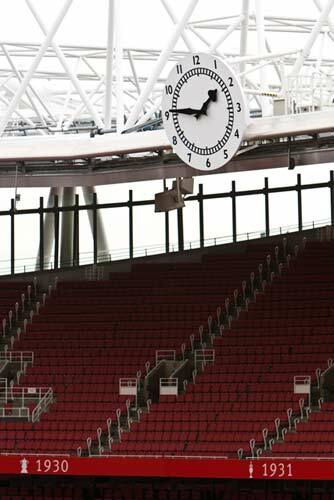 The story of the clock goes back a long time, and to Arsenal’s earlier home at Highbury. 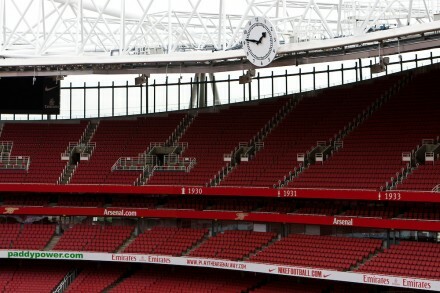 The “clock for all to see” became well known, so much so that the South end of the stadium became known as The Clock End. 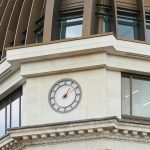 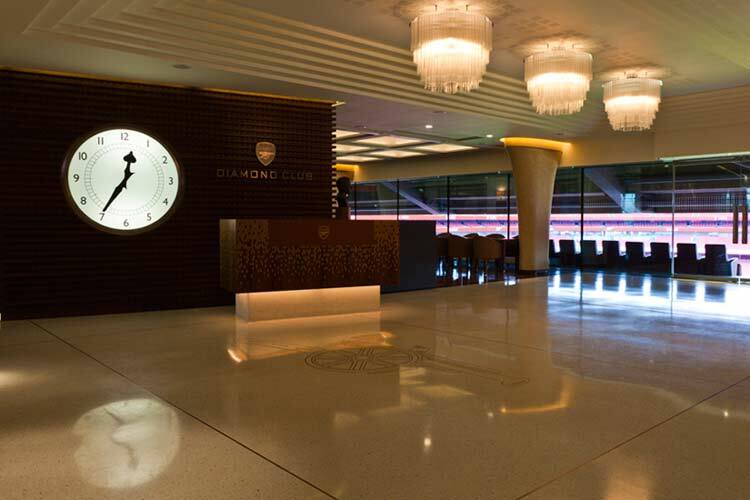 Smith of Derby was commissioned to recreate this famous clock, t for the 21st century, for a new “clock end” at Arsenal’s Emirates stadium. 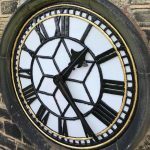 Larger in diameter, but keeping the famous white and black design, it is equipped with a synchronous movement for accuracy and was revealed to a capacity crowd (59,867) on Saturday 21st August 2010. And so, Arsenal’s home triumphs and losses continue to be overseen by an iconic clock, and not just one clock, as there is another – its baby sibling which graces the wall of the Diamond Club lounge at the Emirates Stadium.